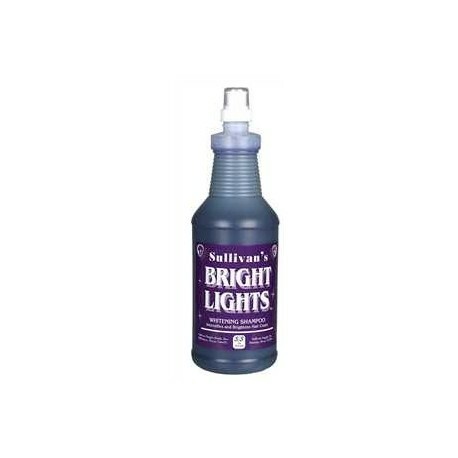 Highlighting shampoo for enhancing and whitening hair or wool. Brightens white hair, intensifies colors of all hair coats and shampoos away yellow tint, sun faded, and stained hair or wool. Leaves coat with a beautiful luster. Skin and hair conditioner. A great product to promote healthy and beautiful hair coats. Aerosols must ship UPS Ground. 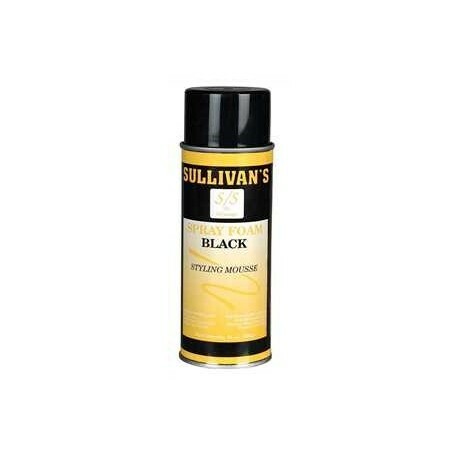 Flare Finishing Spray from Sullivan's Supply is an aerosol that delivers tremendous body and volume to the hair. 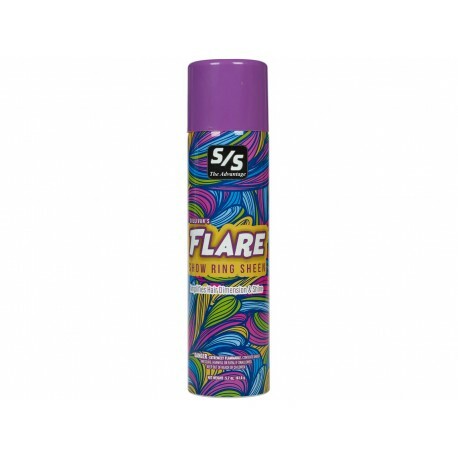 It gives a fluff to the hair along with a light natural shine. Use after applying your other grooming products as a final step in grooming. 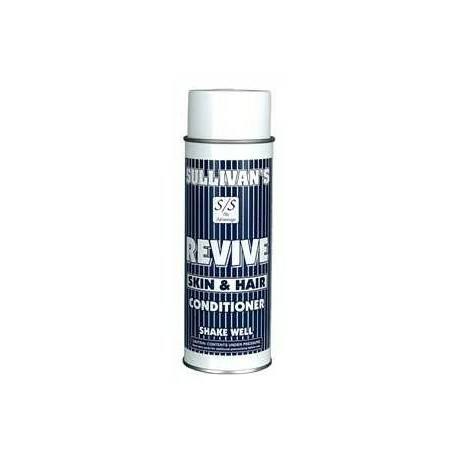 Spray evenly over entire body, then comb in and blow dry for 15 minutes. 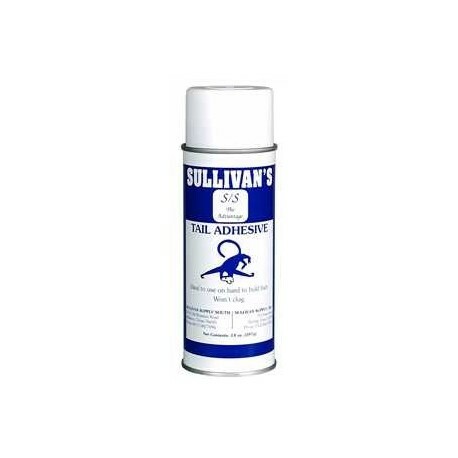 Sullivan's Spray Foam Styling Mousse is a multi-purpose product. For showday, clipping or hair training. It will create a stronger, thicker looking-hair coat. Hair will look naturally shiny with the holding power you desire. 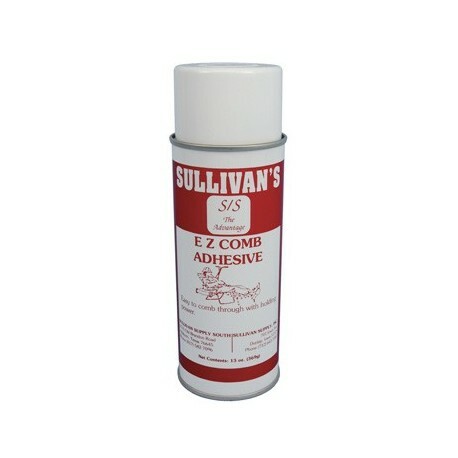 The strongest adhesive for hard to hold coarse stubborn hair. It has the holding power you desire. Used to form tail bush and on leg hair when a fuller, stouter look is desired. 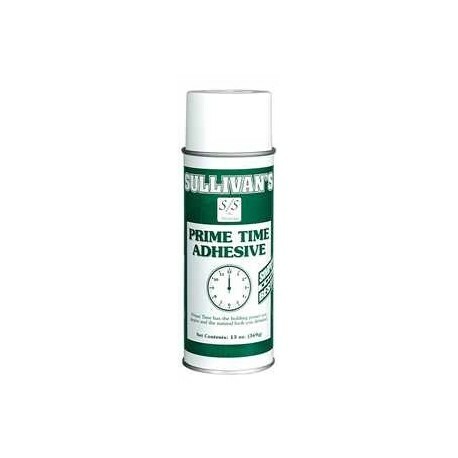 A touch-up that covers and enhances dull looking areas completely. The more coats applied, the darker the color will become. Available in black 14oz or ultra white 11oz. Aerosols must ship UPS Ground. An adhesive for good haired cattle. 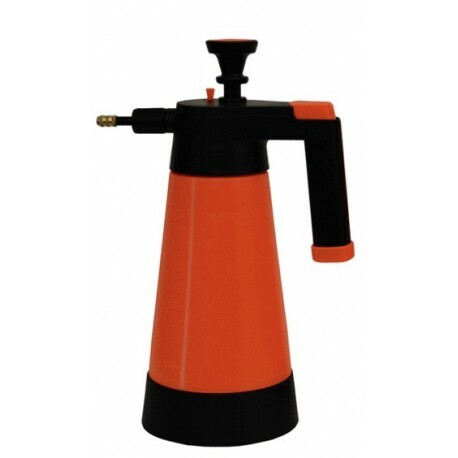 Can be used on the legs or body. 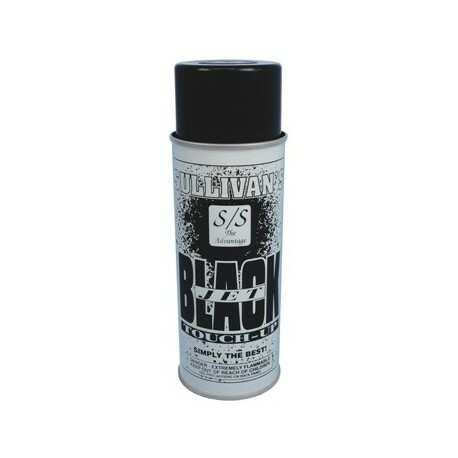 Spray on light coats as you comb to reach a natural look. 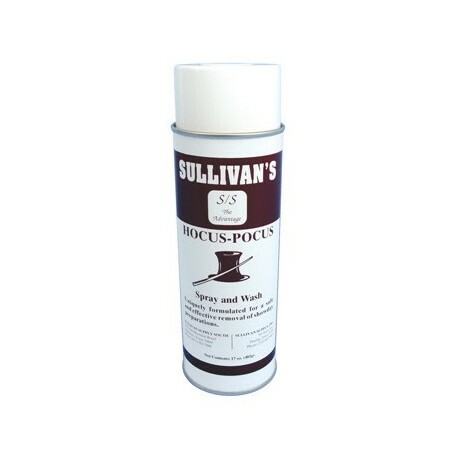 Remove with Hocus Pocus and soap out with Sullivan's Clear Choice Livestock Shampoo. 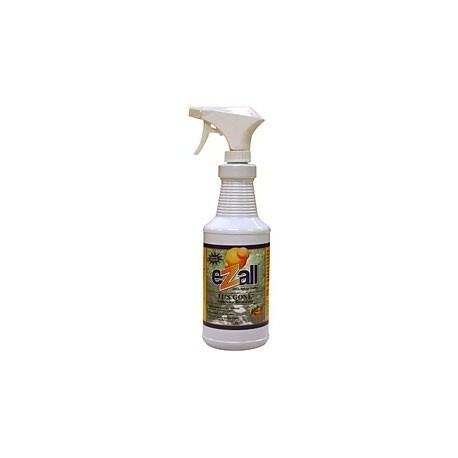 Safely remove paints, glues, adhesives and other show day grooming preparations with the revolutionary eZall IT'S GONE Adhesive Remover.